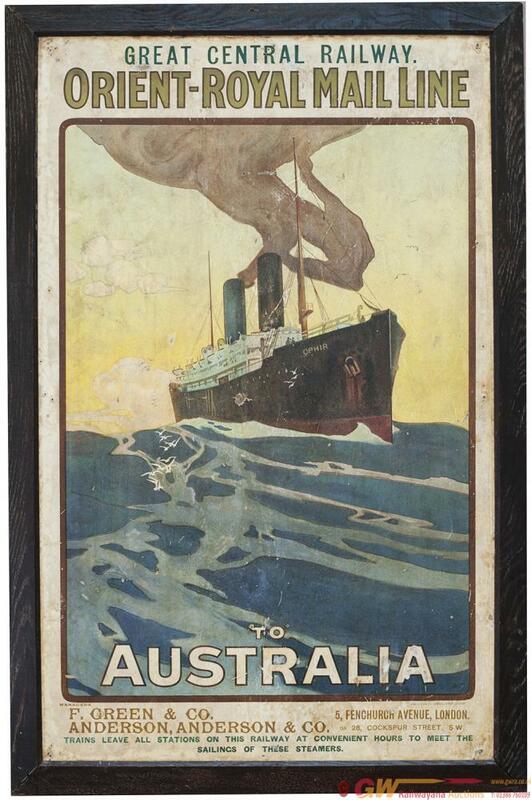 Poster GREAT CENTRAL RAILWAY ORIENT - ROYAL MAIL LINE TO AUSTRALIA. Double Royal 25in x 40in. Shows a view of the Royal Mail liner Ophir. The poster has been laminated to board and is in an original oak frame. In fair condition with some pin holes but a rare poster that hasn't appeared at auction before.